It’s so rude to interrupt my anxiety attacks with your positive attitude. 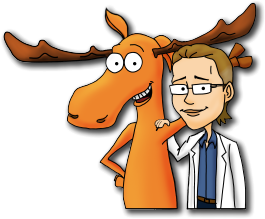 Originally The Talking Moose, our amazing desktop app, was designed to actually help people with weight loss. 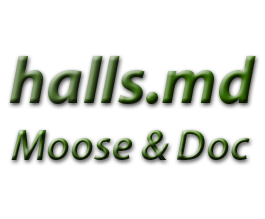 However, as the real possibilities of quite what the Moose can do have become clearer, there are many areas of life that she may be able to help with. Indeed, the phenomenal rise of anxiety disorders came to my attention recently. So we decided to make a series of posts on anxiety offering some help with anxiety disorders. So, here is the full index of all our posts on the main anxiety disorders. As it stands around 40 million Americans suffer from one of the anxiety disorders. Here we give a brief introduction into the 6 main anxiety disorders including panic attacks, PTSD, Generalized Anxiety Disorder, OCD and Phobias. You can see a more detailed analysis of each of these conditions on our individual posts below. This post also has information on treatment and help with anxiety disorders. Everything that you need to know about panic attacks. We look at what is the difference between ‘normal‘ anxiety symptoms and a full blown anxiety attack. This post includes a discussion on both conventional treatments and some self care tips to help with anxiety attacks. Here we look at the impact of diet on anxiety. It is no surprise that anxiety and depression are hugely on the increase when we think about the modern diet in many countries in the world. Indeed many people’s diets are full of processed food, rich in refined carbs, salt and sugars. But which foods should we be eating? Could these be part of the answer to anxiety? What are the TOP 4 food and drinks that can really trigger anxiety OR make your existing anxiety worse? We have all the scientific research that shows which foods and drinks to avoid to naturally reduce your anxiety. With over 13.5 million Americans alone taking medication for anxiety disorders, is it time to look at more simple lifestyle changes? Now, it is not easy to cut out these highly addictive foods and drinks but we guarantee if you can, it will be worth it! Furthermore, other aspects of your health, including your waistline, may well improve too. In this exciting new post we take a look at some of the emerging research in the world of anxiety and depression. Initial studies suggest that the gut microorganisms can positively or negatively effect the symptoms of anxiety and depression. Although, a lot more research studies are needed to truly ascertain the links, initial findings look promising that a way to a man’s mind may well be through his stomach. What exactly is Generalized Anxiety Disorder (GAD)? Well, it’s like if you imagine worrying about something and then times that by about 200. The worry and anxiety experienced by GAD sufferers tends to be both ongoing and all consuming. Indeed, GAD can be truly devastating for some sufferers. Furthermore, it appears to be on the increase. Find out how you can understand this disorder and get help with anxiety. Social Anxiety Disorder (SAD) is a misunderstood, but serious anxiety disorder. SAD is often misunderstood, but is SO much more serious than simple shyness. People suffering with SAD have an overwhelming fear of interactions with people and social situations. If you or a loved one think you may be suffering with SAD you can also take the online test. Anxiety is a huge problem for an awful lot of people. Many of us are reluctant to start taking powerful medications to help with anxiety. So, this article takes a look at 5 of the top natural remedies for anxiety. There is quite a bit of scientific evidence to support these natural remedies too. So, come on in and take a look at what you can do to help yourself with that anxiety issue. There are so many misconceptions about Obsessive Compulsive Disorder (OCD). However, this article aims to dispel the myths and look at some of the facts regarding this condition. We have a look at some of the theories of the causes of OCD. Also, the wide variations in symptoms are discussed. You can also find advice on treatment and help with anxiety disorders. Many, many of us suffer from anxiety. This article firstly looks at the classic anxiety symptoms. However, there are some more subtle and bizarre symptoms of anxiety that you may not be aware of. Believe me, some of them came as a surprise to us. However, you can not get the right help with anxiety if you do not recognise that you have some of the symptoms. Firstly, a big apology for all you readers with arachnophobia for our scary photo on the right. Phobias are very, very common. Let’s face it, most of us do not like spiders, snakes or dentists for that matter. However, anxiety symptoms of a true phobia are more acute but only occur when a person is exposed to the feared stimuli. There are many phobias and we take a look at some of the most and least common ones here. Post Traumatic Stress Disorder (PTSD) is a serious anxiety disorder. Typically, when we hear of PTSD we imagine a veteran, however, many situations can cause PTSD. Find out everything you need to know about PTSD here, based on all the latest research. We look at the symptoms, causes, diagnosis, treatment and much more. Everything that you need to know about Bipolar Disorder. In this post we look at the true facts of Bipolar Disorder rather than the myths and misconceptions. Discover the symptoms, causes, the different types and categories and the treatment of bipolar disorder. We also have a true personal tale of a person’s own experience of living with Bipolar Disorder.